Postcards and photographs always capture memorable times. Especially vintage ones, through time, it adds extra nostalgia. 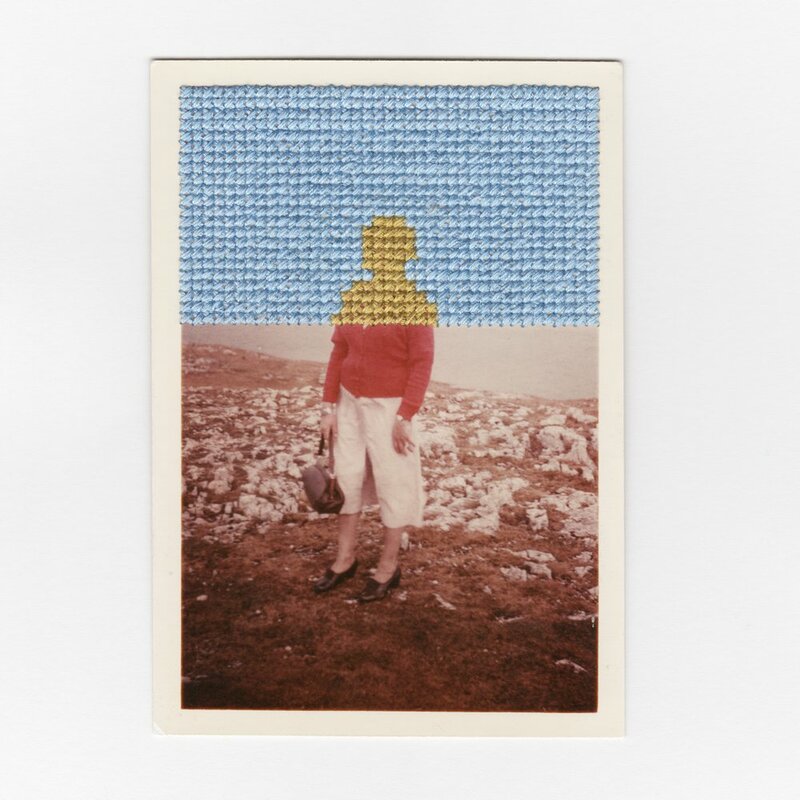 Meet modern embroidery artist Francesca Colussi Cramer, where she would embroider colourful cross stitches to enhance found vintage ephemera, from photographs and including postcards. Not only does the cross stitching add a very modern vibe to it, the stitching and the colours further enhances the depth of the postcard and tells a more rich story. The vintage photographs and postcards include themes of a wedding, countryside landscapes and portraits. P.S. We love the details of Francesca’s work, not only the front is beautiful, the back where you can see all the stitches and the thread are sew cool! With London Fashion Week in town, the new Christian Dior exhibition and the Great British sewing bee back on the telly box, plenty of fashion events happening around in London. 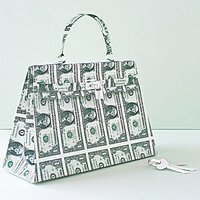 This reminds us of a very beautifully made series of paper sculptures made by paper artist Matthew Sporzynski that is focussed on objects related to fashion, couture, handbag and shoes for magazine Real Simple. J’adore. This Galentine’s and Valentine’s lands on a school night, we will be staying at home. To add extra fun to our hand written Valentine’s Card, we have created a Word Search where you will be able to download via our DIY “Free Printables” section. Simply, print it off on and tuck it into your Valentine’s or Galentine’s card or gift. Print two copies so that and you can do the word search together! Have plenty of fun finding the 9 words in this word search card! This word search is filled with all the lovey dovey words we love! 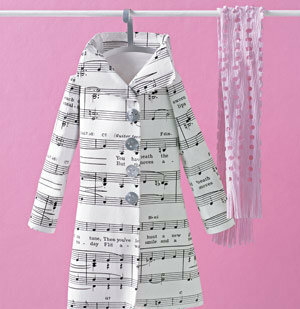 We love all things paper. 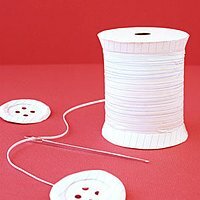 Especially paper sculptures that are made into relatable fun items that brings back wonderful memories. 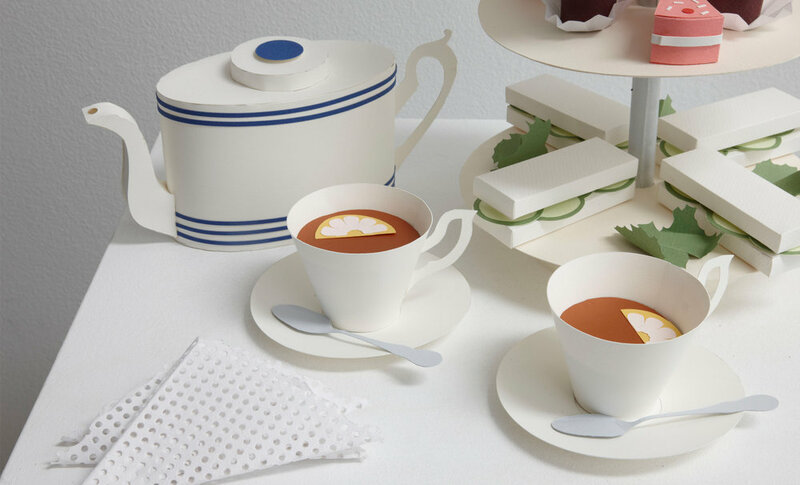 Self taught Australian paper engineer Benja Harney of studio Paperform specialises in making everything (really everything!) fun and super cool with paper for their commercial clients. We LOVE how Benja will refer to people visiting his website as Paper Nerds! Yes, here! 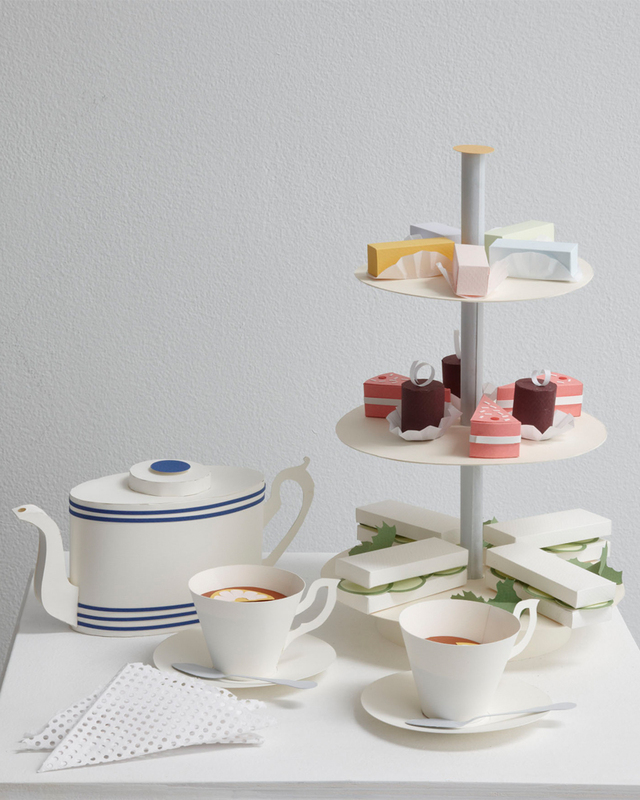 This paper set of a classic afternoon tea set encapsulates all the favourite things we love about the British tradition of an afternoon tea. 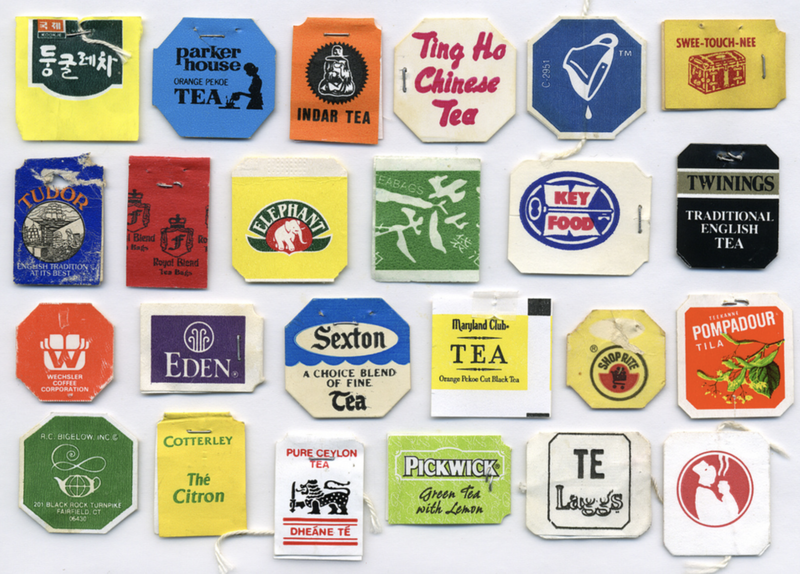 Those cucumber sandwiches, that perforated serviette, those fine paper bone china and cute delicious slices of pastel cakes… YUM! This year will be the Year of the Pig. 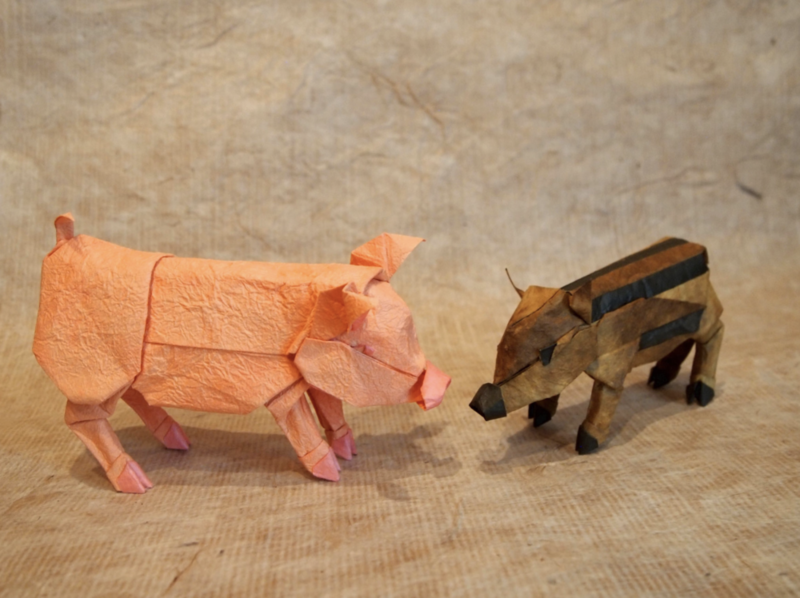 These super sweet kawaii origami paper pigs made by origamist Hiroaki Kobayashi 小林弘明 are simply adorbs. 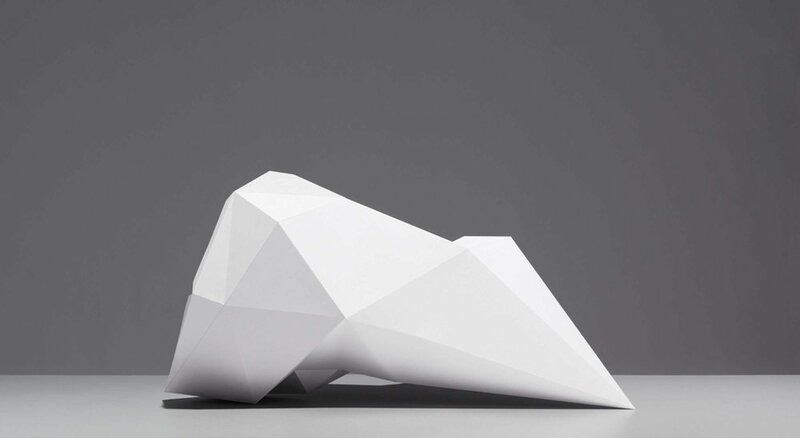 Each origami piggy takes at least 7 square sheets of paper to fold and assemble together. 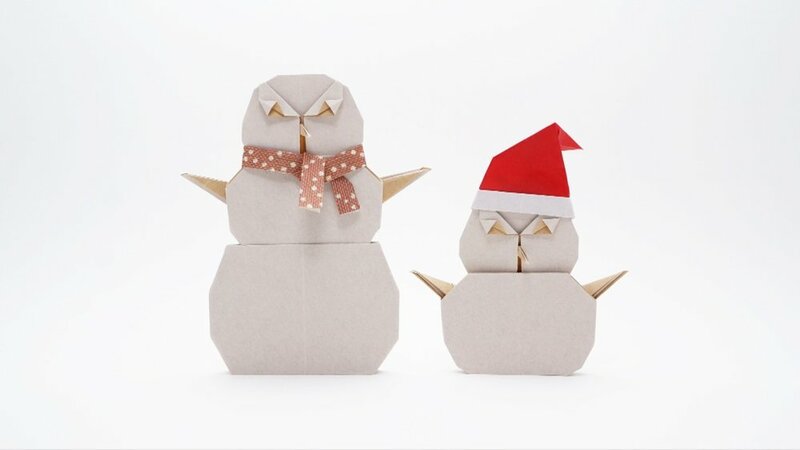 Super kawaii Christmas paper sculptures by Jo Nakashima, with all the gang, Rudolph, Santa, Snowman and Christmas trees. 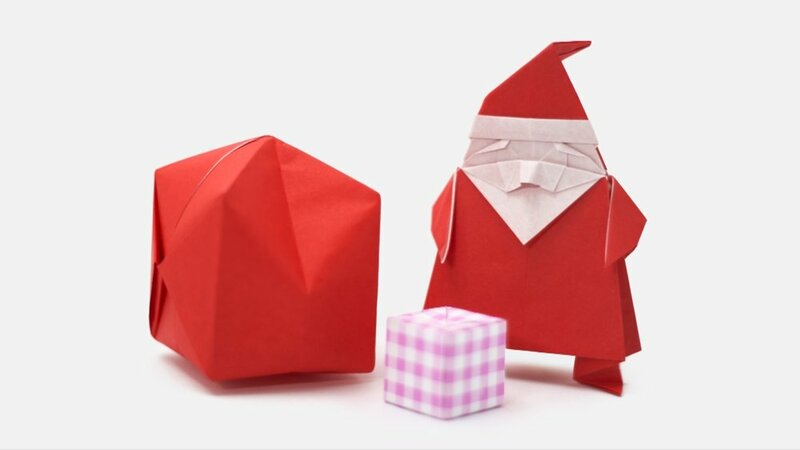 Add an extra dose of cute to your christmas by following Jo’s online origami tutorials on youtube as well as on his website. 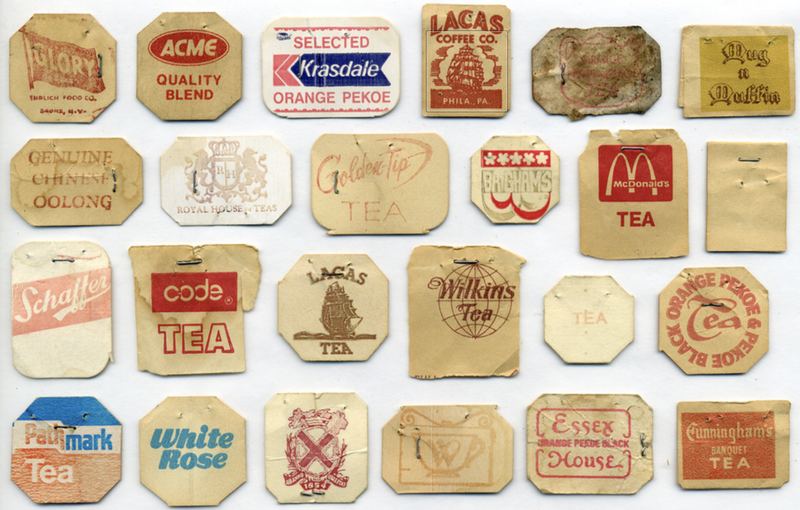 Whether you call it tea, a cuppa, rosy lee or a builder’s brew, statistics has it that on average in the UK we drink at least 165 million cups of tea per day. 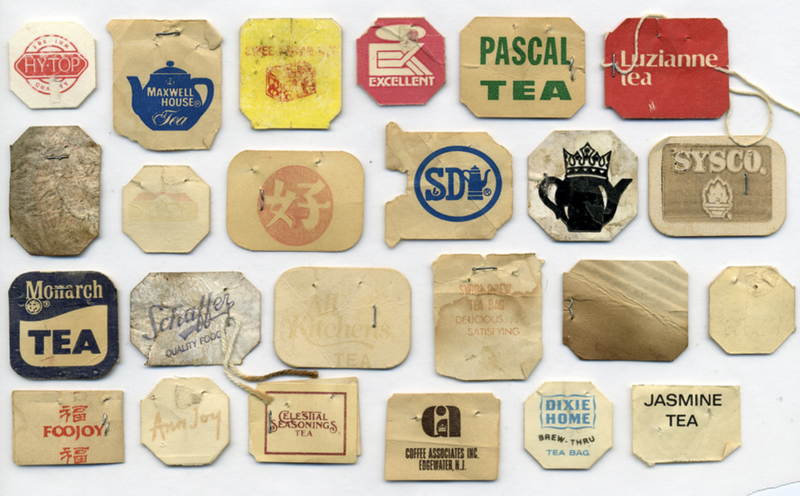 Glad artist Alexander Ross has kept an archive of paper tea bag tags - a good dunking for the eyes. As the mercury drops, Christmas is near, this has us thinking about snow capped mountains. 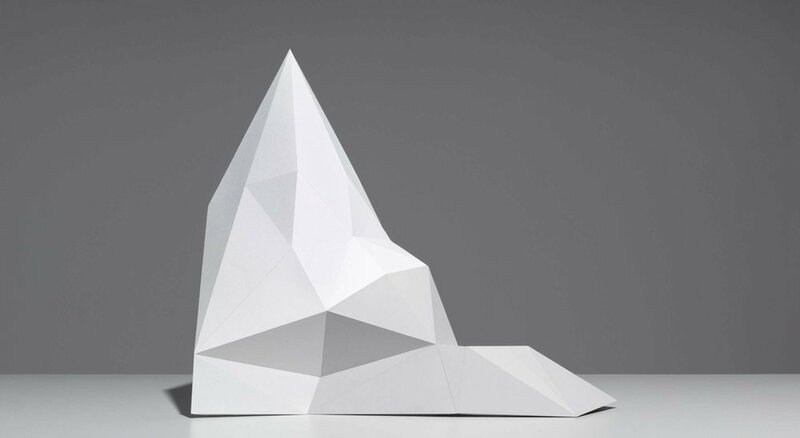 This photo shoot on Paper Mountains by photographer Bruno Drummond with beautiful geometric shaped mountains created by set designer Hattie Newman captures exactly that.